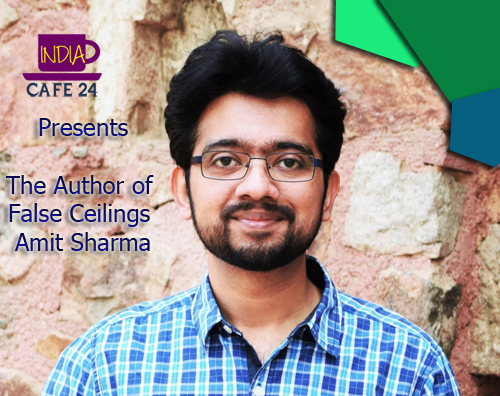 Amit Sharma- An IT guy with a Lovely Wife and an angle daughter decided to tell the world one day about his power with pen and then the novel False Ceilings was born. 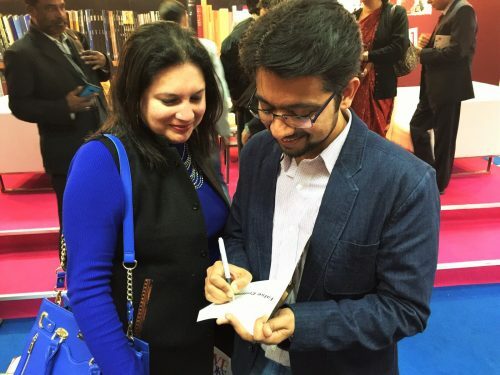 So far the work of Amit, managed to satisfy the hunger of the true readers and we expect the book will reach to many more readers and create a special place in their treasured Bookshelf. Amit Joined us to share his story, check out what he said……..
My background isn’t very exciting. I was born and brought up in a middle-class family, so I had to be a doctor or an engineer. Finally, I ended up being a Software Engineer by profession because I couldn’t stand the sight of blood. I did my M.Sc. in Physics from Delhi University and my M.Tech in Computer Science from Kurukshetra University. I have been working in TCS since the last ten years. I am married to a beautiful woman who wants me to be two inches taller so that she can wear high heels. My daughter is three and (I think) is a superhuman. 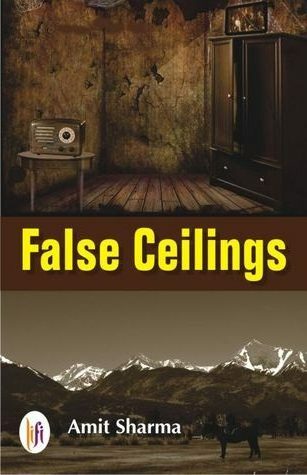 I started my blog Mashed Musings in 2007 and started writing my first novel False Ceilings in 2010, which was published by Lifi Publications this year. You started your journey in such a genre (Family Saga) which is just not uncommon but very rare too. Why Family Saga and not romance? My novel does have romance in it. There are 5-6 love stories in different eras. But when your book is spanning decades, the love stories won’t always have happy endings. People don’t always remain in love, sometimes they drift away. There can’t be a family saga without love, jealousy, and malevolence. Coming back to your question, I think romance novels have a great market but very limited story ideas. In how many different ways can you make people fall in love? I like to weave complex plots. Yes, love is always a part of my plots, but there is much more to offer. Do you have any connection with the story in your personal life? Yes, the story is based on true events. The family is known to me. In addition, there are a lot of events in the novel that have been derived from real life. I have created scenes from my personal experiences, from the stories my grandmother used to tell me, from my visits to Dalhousie to meet my nani, from the stories that my parents told me about their growing up years. The book has very less fiction and a lot of real life. 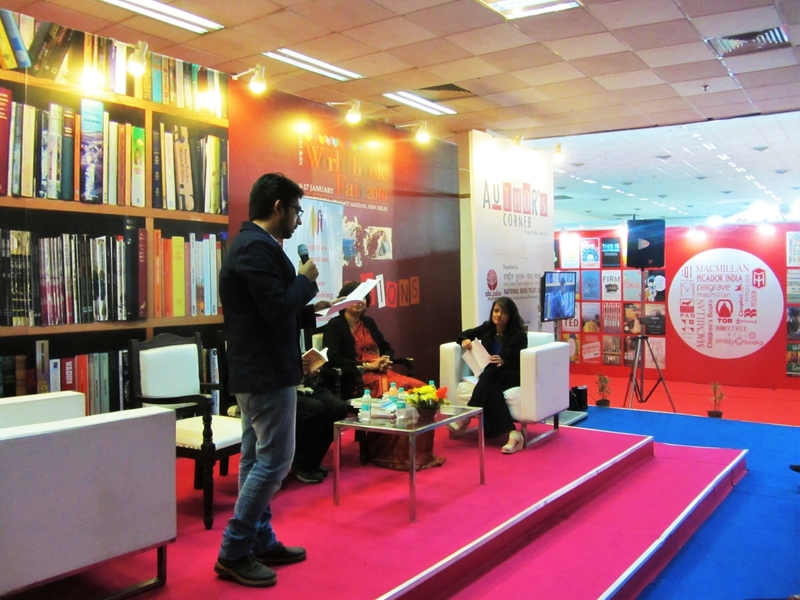 What did you think about Romantic Novel and its popularity in the market? I think it’s great. The fact that people are reading books is a great boost to any genre and any kind of writer. I too, occasionally, like reading a romantic book which is not clichéd. How did you get addicted towards the writing world? Addiction seems like a strong word. I like weaving stories – it’s as simple as that. I am not addicted to it, but I like to spend my spare time productively. I wanted to do at least one thing in my life that makes me happy and content. And writing gives me that kick. I love the whole process of researching, expanding a story, creating anoutline and then finally writing it. It’s a journey full or surprises and self-discovery. Sometimes, the characters go completely out of your hand and start living their own life in your brain and all you have todo is write what they are doing. 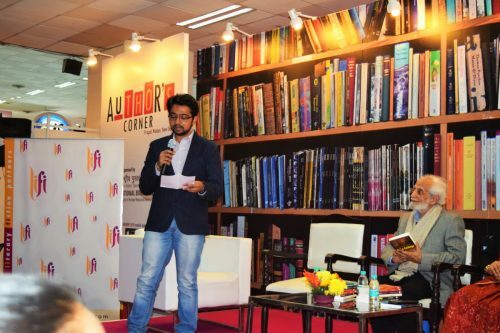 Who noticed the spark in you to become an author? The readers of my blog. Believe me, being an introvert, starting a blog was the most daring task that I have done in my life. Showing what I was writing to others and allowing them to comment on it was not an easy task for me. In a year or two, I had a good enough readership and everyone started asking me about my book. There was no book at that point of time, nor there was an inclination. But this gave me the courage to dream. Very recently your novel got published. So how you are feeling? What sort of reviews you are getting? The reviews are majorly positive. 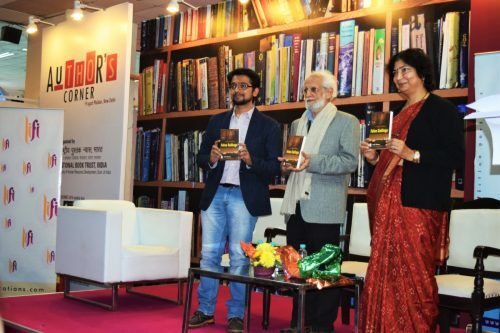 The book has good ratings and some fabulous reviews on Amazon, Flipkart and Goodreads. I am pleased that I have been able to touch so many people with my work. I am satisfied, exhilarated and thankful. Aaryan is a character very close to my heart. He and I grew up in the same era. We share a lot of experiences. Not many people know this but the incident of the burning Sikh in 1984, which changes Aaryan’s life when he was five was something that happened to me. I have drawn a lot of him with the ink of my anguish and frustration when I was growing up. I poured all my resentment in that character and some of the readers have come back saying that his chapter is their favorite. How did you react when you saw your first copy of debut Novel False Ceilings. Getting published was very surreal. When you hold your book in your hands for the first time, it’s like holding your child in your hands. That is what you have toiled for years. That moment. And when it finally arrives, you have to pinch yourself. The conflict between the publishers and authors is very common. Have you faced such problem while finding apublisher for your book? I won’t call it a conflict. There are just too many people writing and there are too many manuscripts to consider. I think the publishers are not able to give enough time to each and every manuscript but that is understandable. Rejection is something a writer has to get used to. It’s a part and parcel of the profession. My novel was also rejected multiple times before it was finally selected. You feel bad for a few days but then you have to move on. I love watching world cinema. I am a voracious reader and you will always find a book in my bag. I like cooking and baking, painting, traveling and trying different cuisines. I like staring at the mountains and the ocean to relax. I have a great set of friends and I love talking (like a real conversation and not just sharing jokes) to them on WhatsApp. I have a few story ideas that I will pen in the coming years. My second book is complete and I have sent it for beta reading. I will be hunting for a publisher once the process is complete. I am not the kind of person who plans too much in the future. So, I will just keep doing what makes me content, one day at a time. I would like to call it a Thriller. It’s a very modern story set in the last Decade. It’s about the journey of Sapna, a girl who belongs to a lower middle-class family living in Delhi; how she transforms from a naïve, simple-minded, college going girl to the most influential, richest and powerful woman in the world. She has a gift that turns her into a Goddess; someone the world fears and prays to. Her power changes the course of the future but demands a lot of sacrifices from her.It’s a book about her journey. It’s quite different from my first book and I am hoping the readers will enjoy the story as much as I enjoyed writing it. Define Amit Sharma the author in one line?